In this tutorial, you’ll learn how to convert a PDF document to a PNG image file. Converting PDF to PNG is very useful when you want to use an entire PDF document somewhere that requires an image. 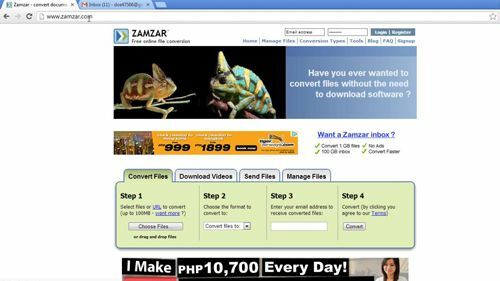 First, go to “http://www.zamzar.com”, this website has a system that allows you to upload a PDF file and then convert it to various image formats all within the browser. It does not require you to download any software. Click “Choose Files”, navigate to the PDF file you wish to convert and open it. Now, under the “Step 2” section, select PNG from the drop down box. 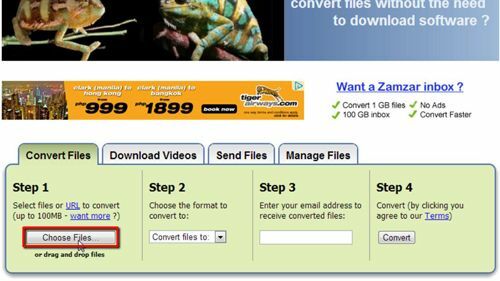 Enter your email address in “Step 3” and then simply click “Convert”. The conversion process will run and you just need to wait for this to complete. You will be told that the file upload has completed after a moment and you then need to navigate to your inbox. Open the email from Zamzar and click the link below the blue box. A new page will load and you need to click the green “Download” option next to the file. If you have converted a PDF with multiple pages they will appear as separate downloads as they have been separated into individual image files. Once the file has downloaded you can open it with any program that reads PNG files. 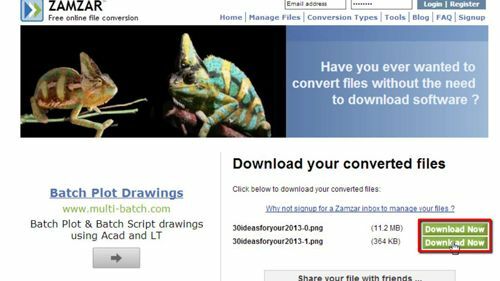 You now know how to convert PDF to PNG.